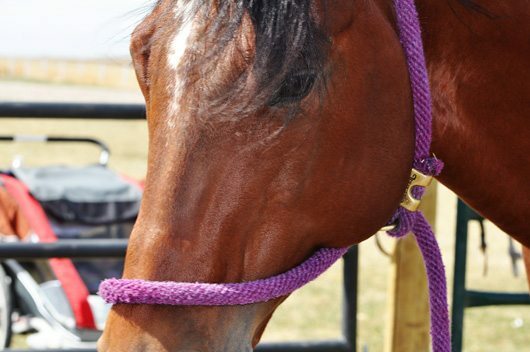 Have you ever gotten yourself out to the pasture, with only a lead rope and due to a brewing emergency (for instance a horse in the wrong area, or a horse out of the pasture altogether) and were in need of halter in a real hurry? I have. And thanks to a little trick my grandfather showed me, I have a neat little way of catching a horse and leading it back when the halter is a mile away. Now before I go on much more, this blog comes with a disclaimer! 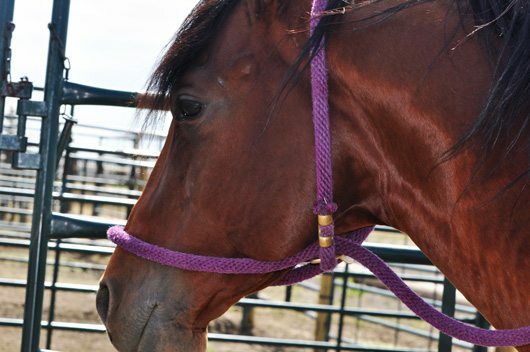 The halter-in-a-hurry is by no means meant to replace a conventional halter in any way. 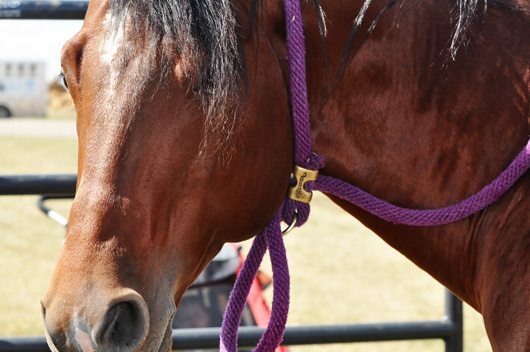 And as the halter-in-a-hurry has a “tightening effect” if the lead is pulled on too much, it is not recommended for colts, horses that are head shy or don’t lead well. 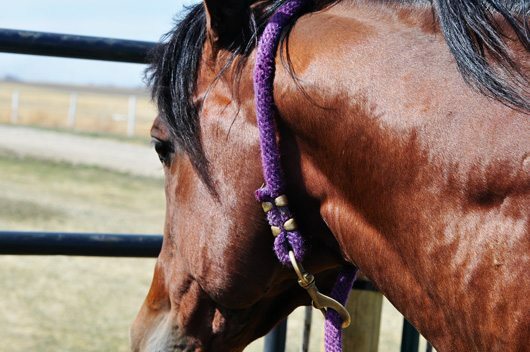 The halter-in-a-hurry is merely useful in situations where time is of the essence and with horses that lead well and are in need of being moved from one area to another quickly. This halter can be harsh in the wrong hands but if used properly and carefully, can be a very gentle form of control. 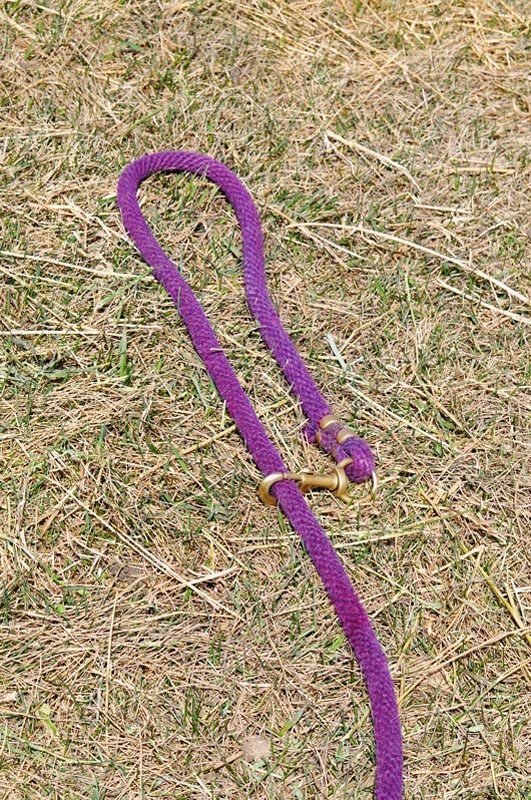 Also important to note is that the smaller the size/diameter of the rope, the more severe the halter can become – which is why I use it only when I have a thick lead rope with me. 1. 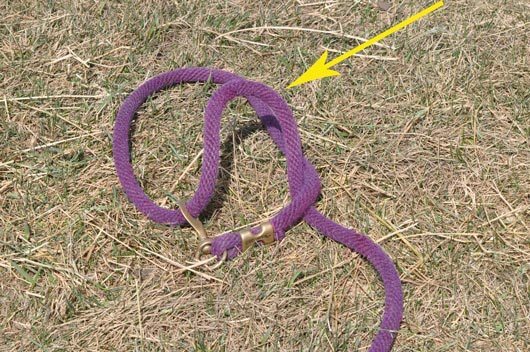 Start by clipping your lead rope back to itself, creating a loop large enough to slip the horse’s entire head through. So once you have the first loop over the horse’s throatlatch, pull the second loop through the first one, under the horse’s cheek bones. And snug it up on the bridge of the nose, where the horse finds it comfortable and the lead is taut. 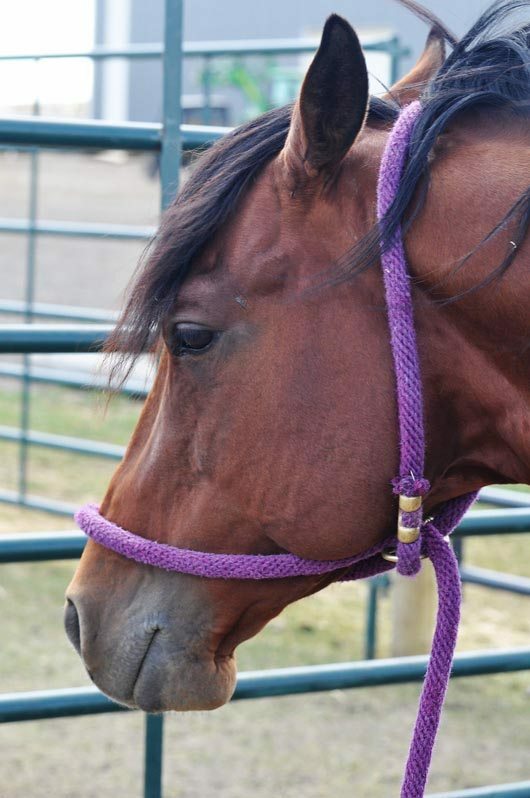 The rope makes somewhat of a figure-8 under the horse’s cheek bones and the remaining rope can be used to lead the horse, as this is what the handler would hang on to. Presto! The finished halter-in-a-hurry. And it took about 20 seconds to create with only a lead rope.